We usually order butterfly prawns in our favourite chinese restaurant . 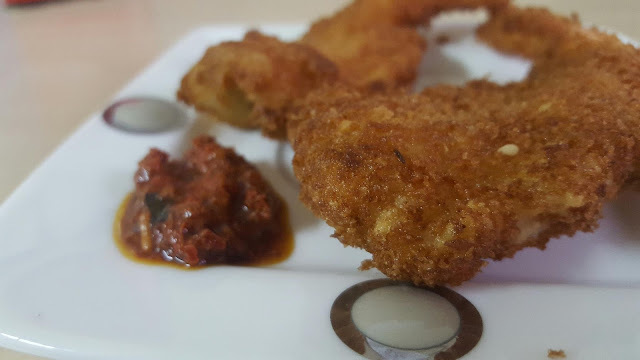 And these deep fried prawns are my family's favourite starter . I struggled many times to create same softness same taste until yesterday when my family couldn't resist them . And thats the reason i was able to take picture if only two fried prawns in a hurry . They were soft from inside and crisp from outside and it had almost same taste as we usually enjoy in Chinese food joint . 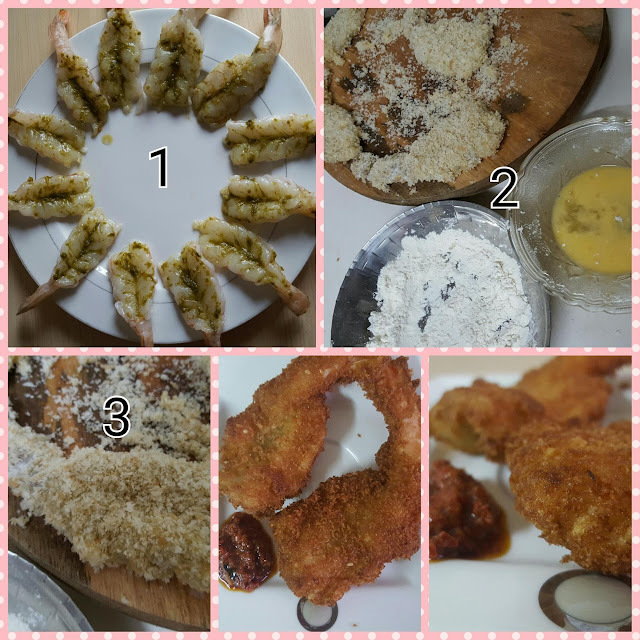 I am sure with this recipe you won't fail .
. 12 large prawns deveined and raw.
. Salt if needed as soya sauce has salt .
. 2 tbsp of white flour or corn flour . Oil to deep fry . 1. Wash prawns keeping tail intact . I bought deveined large raw prawns. 2. Slit prawn from the center and open wide from both sides . Press it gently with both hands . Refer How to butterfly a prawn. 3. Marinade prawn gently with mentioned ingredients . 4. Keep it for 1 hour shrink wrapped in fridge . 5. When its time to fry , keep white flour, bread crucrumb and an egg in bowl . Then coat it with bread crumbs . 7. Fry in high heat for 1 minute on both sides untill it gets golden brown . Serve with spicy red pepper side dish or garlic mayonise sauce . 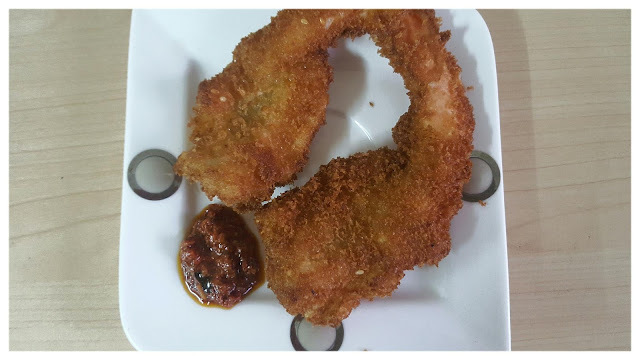 Oh wow this is a most try..i usually have prawns at home..i never thought of trying the deep fry type. I do love having some of those anytime i find myself in chinese restaurants. I remember the ones i ate at a chinese joint in mumbai called mainland china. OMG! It was to die for. And yours right here looks really yummy. Tnx forsharing recepe.i will def try it. Thanks ! You can even use local ingredients like garlic ginger paste and red pepped to marinade . It would still taste yummy .